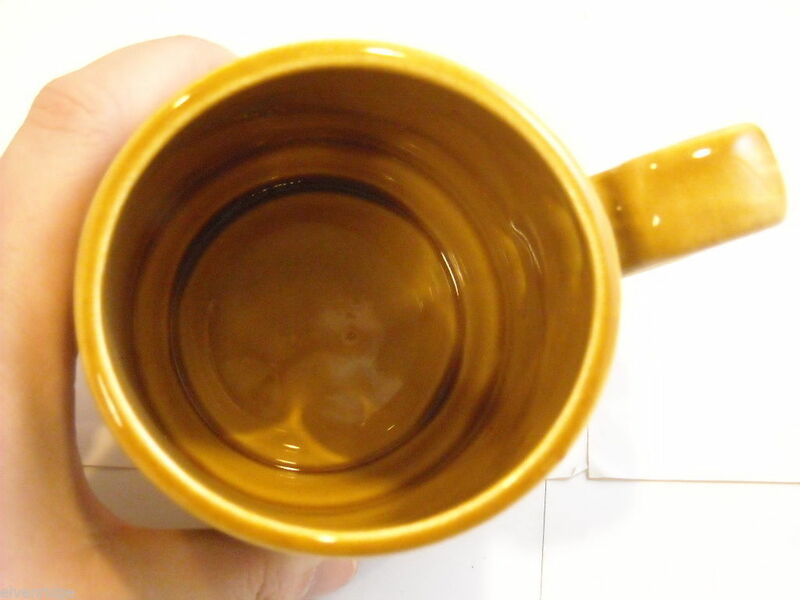 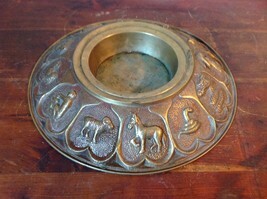 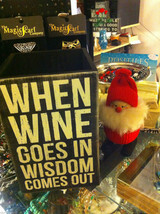 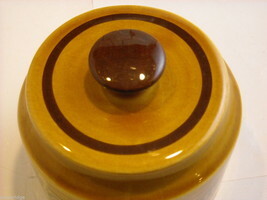 The tea light holder sits underneath the large pot to keep the beverage warm. 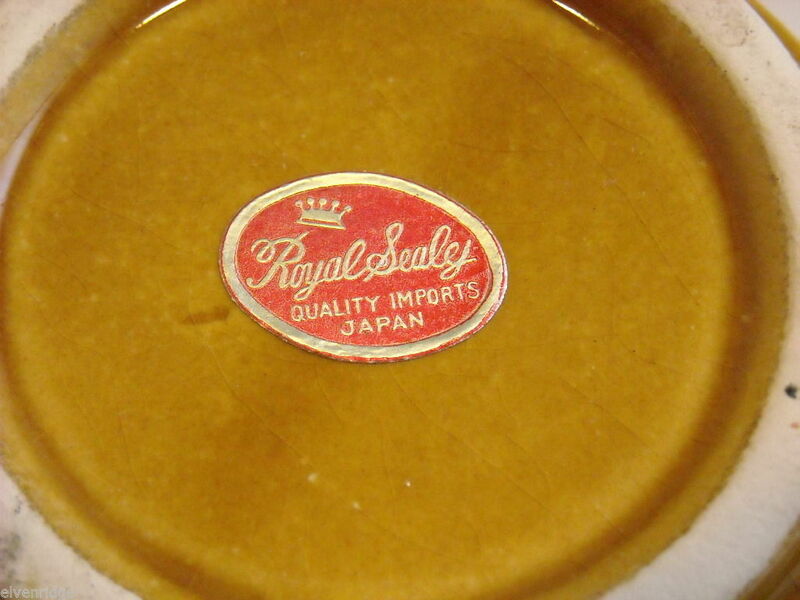 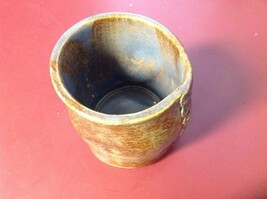 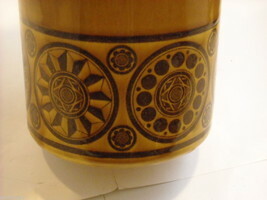 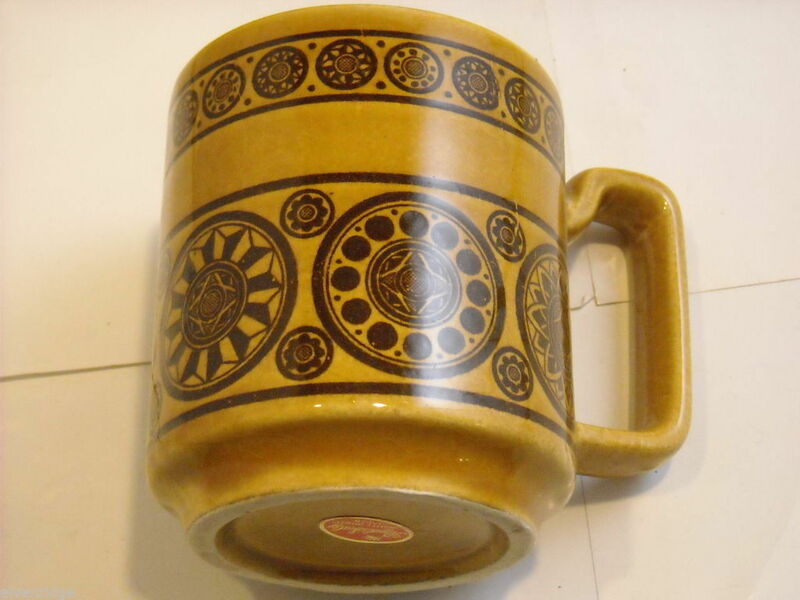 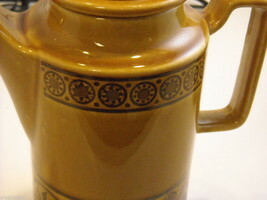 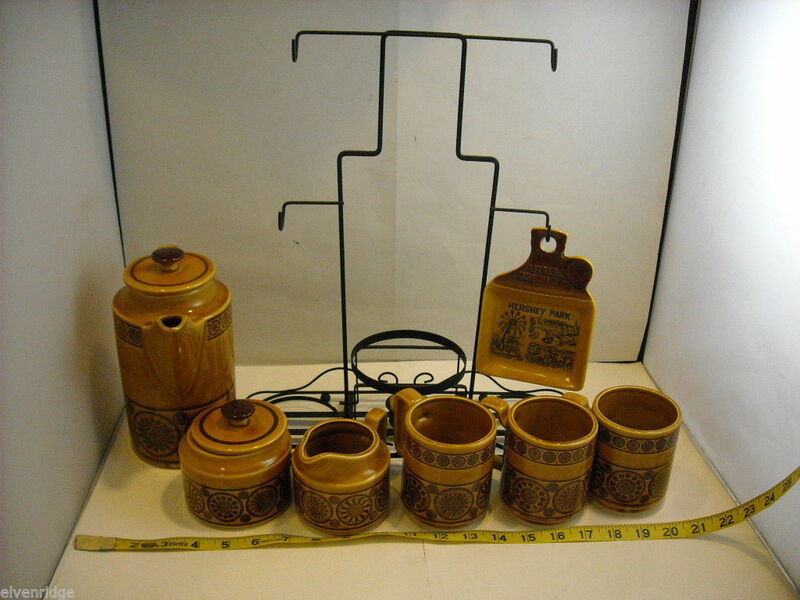 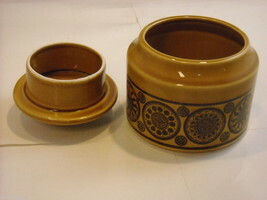 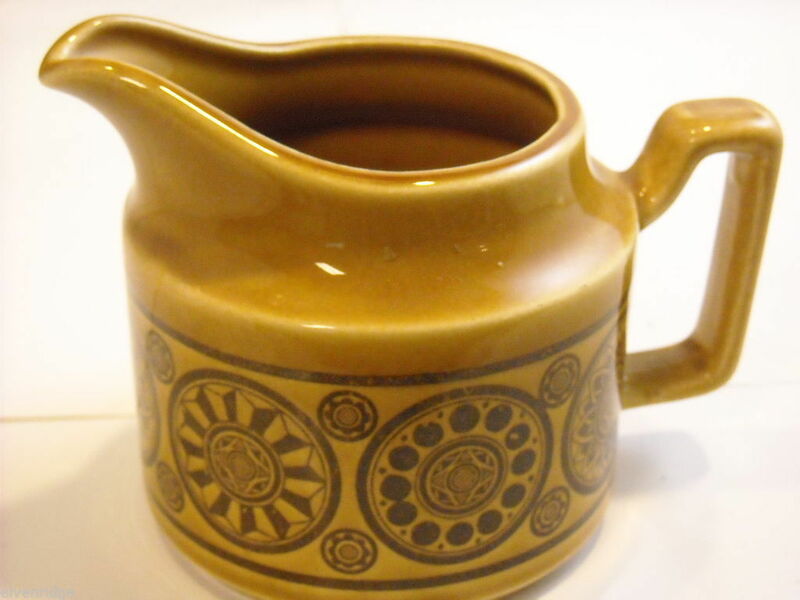 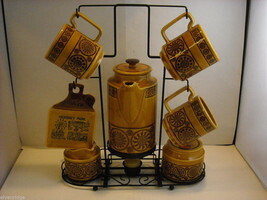 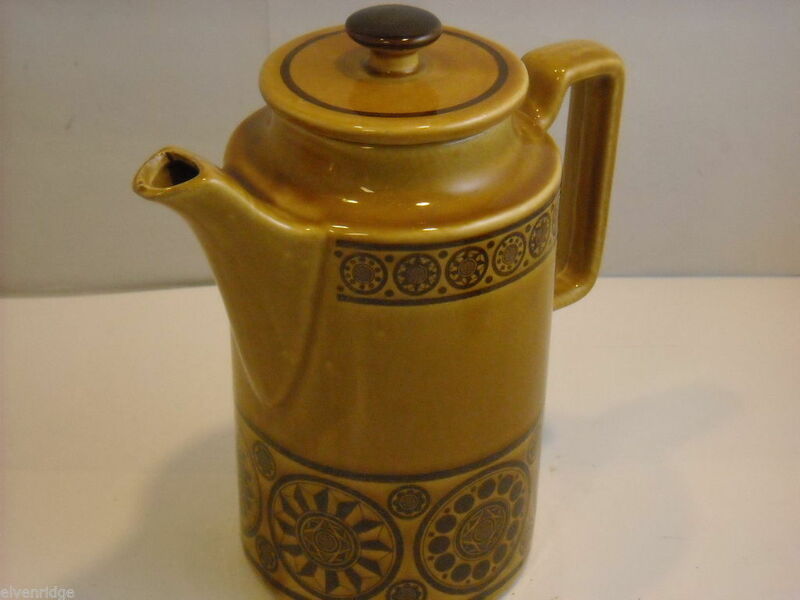 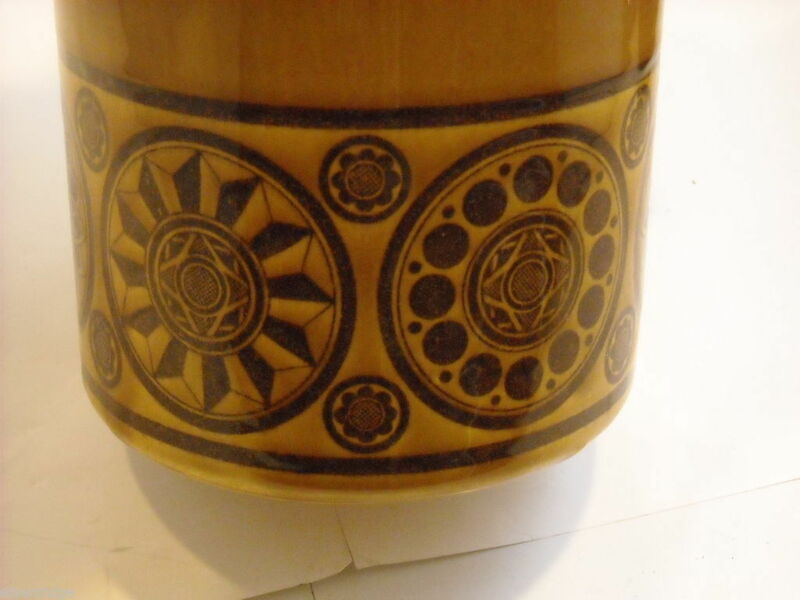 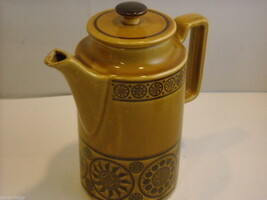 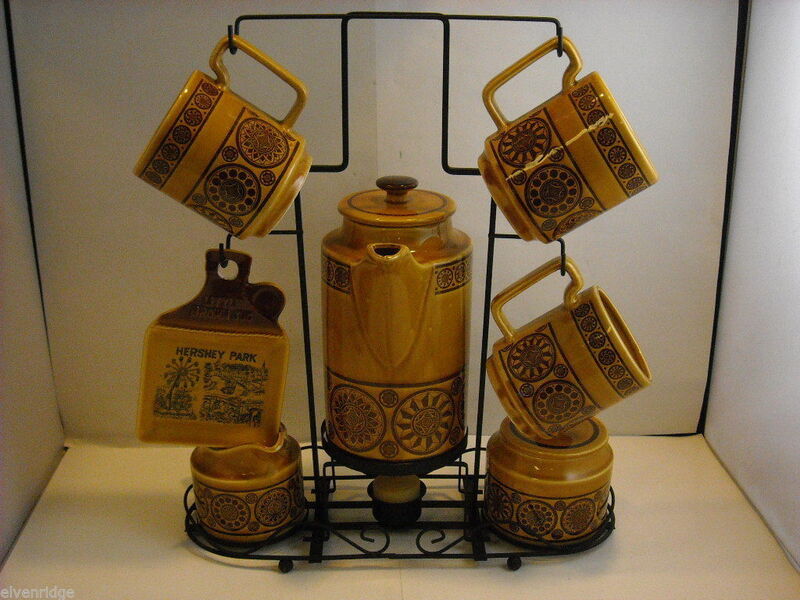 All containers are a brown ceramic and have different geometric star patterns around them. 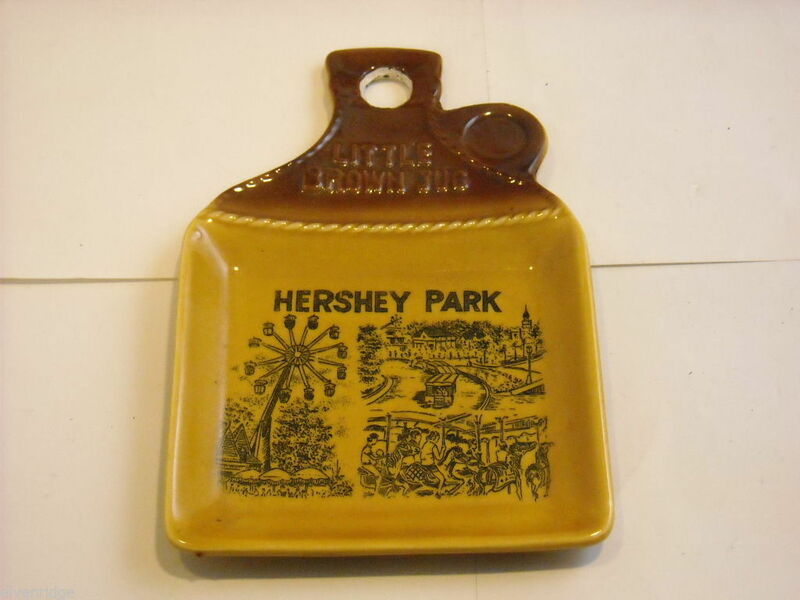 The little jug shaped plate has an illustration and says "Hershey Park" on it.